That 'Splendid Splinter' Is Really Slinging The Old Pigskin, Boston Mayor Says : The Two-Way When it comes to gaffes about sports stars in his city, Mayor Tom Menino is a hall of famer. See his latest malapropisms. Big-city mayors need to be able to do some basic things to keep their jobs. Get the streets plowed. Fill the potholes. Make sure garbage is picked up. Take a bite out of crime. Love your local teams and extol the accomplishments of their heroes. 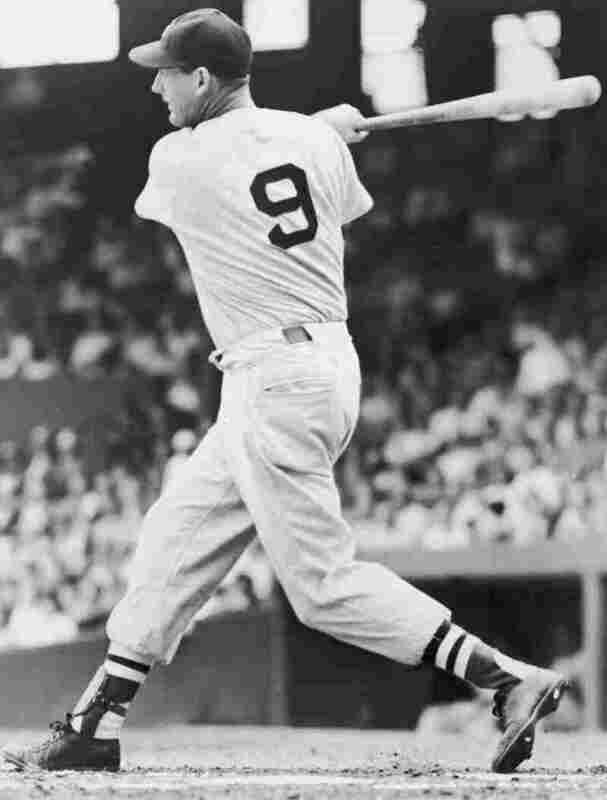 Ted Williams, "The Splendid Splinter." Perhaps Mayor Menino will mention him next. Apparently, Boston Mayor Tom Menino (D) can get away without doing very well on that last requirement. This week, in the course of one interview he referred to Boston Celtics star Kevin Garnett as "KJ" — a sort of verbal typo that this blogger certainly could have made — and said that "Hondo is really the inspiration. Hondo drives that team." Hondo? As almost any Boston fan could tell you, Hondo is the nickname for Celtics great John Havlicek, who hasn't played since 1978. The mayor was obviously thinking of current Celtics star Rajon Rondo. "When discussing the New England Patriots' chances in the playoffs against the Denver Broncos earlier this season, Menino talked about Tom Brady's weapons "Grabowski" (Rob Gronkowski) and "Wes Weckler" (Welker). "Menino's most infamous reference came in 2010 during the dedication of a statue to Bruins legend Bobby Orr's "ionic" goal to win the 1970 Stanley Cup. In discussing some of the best moments in Boston sports, Menino said it was Red Sox catcher Jason Varitek who "split the uprights" to win the Patriots' first Super Bowl in 2002. He was, of course, referring to kicker Adam Vinatieri." The mayor, to his credit, has a sense of humor about all this. He tweeted today that: "You know it's championship season when I flub our athletes' names! Sorry KG & Rondo, it's kind of my thing- another Menino-ism! ‪#GoCeltics." Now, about our headline. For those too young to know or who aren't sports fans, "The Splendid Splinter" was one of the nicknames for Boston Red Sox great Ted Williams. And he wouldn't have been slinging the pigskin, of course, since that's a football reference. But don't tell that to the mayor.